Saving lives one person at a time! MAO educates the public about HIV/AIDS and related illnesses and how to prevent transmission of infection. MAO provides culturally competent education, medical and social services to those living with and affected by HIV/AIDS and related illnesses. HIV/AIDS will be eradicated; until that is accomplished, MAO will ensure that all people in its service area living with HIV/AIDS and related illnesses can live a healthy life filled with dignity and respect. 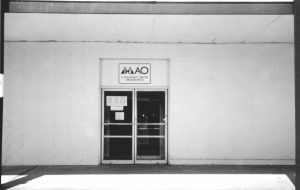 MAO was founded by concerned and inspiring Montgomery, Alabama residents in 1987. By late summer that year, the original all volunteer staff was actively providing much needed HIV/AIDS education to the community and respite/hospice care to those who were diagnosed with AIDS. In spite of the fear and hushed conversations regarding the devastating disease, the early volunteers etched a path for those who were infected and affected by AIDS. Long-term survivors and supporters may remember when services were delivered out of a private residence and food pantry services from an adjacent garage. The first public walk-in office was opened in September of 1987 in the Easter Seals Building in Montgomery. The demand for services led MAO to hire its first part-time employee, Jacky Stancil, in August of 1989. Mrs. Stancil would become MAO’s first Executive Director by January of 1992. 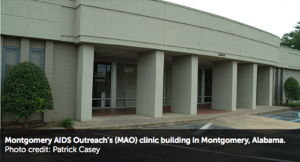 By March of 1992, MAO opened its first health monitoring clinic at the Montgomery County Health Department with a resident from the UAB Internal Medicine Residency Program serving as the first physician, and assisted by a volunteer nurse. MAO’s primary offices would move six times before relocating to its current home. By 1994, MAO hired its first Medical Director, Dr. Lawrence Williams, and its first staff Social Worker, Rhonda Hollon. These individuals would help set the tone for other pioneers to follow, including Dr. Laurie Dill, who joined the MAO team as on-site physician in August of 1996. Dr. Dill has served as Medical Director for more than a decade. As a result of successes in the River Region, in June 1995, MAO was asked to begin providing case management and other services in the Dothan area. The Dothan office was first housed within the Houston County Health Department. By 1998, MAO began replicating most services previously only benefiting the residents of Montgomery and the River Region for the residents of the Wiregrass Region by way of its new Dothan hub site. Community support allowed MAO to evolve in response to the needs of Alabama’s most rural communities. In addition to the generosity of individuals and institutional partners over the past 30 years, MAO’s HIV services are approved for funding under the United States Health Resources and Services Administration’s Ryan White Program. The first grant award was received in the summer of 1992. At the time, the committed funding allowed MAO to transition from an all-volunteer education and service organization to a full-time, health and wellness agency, employing skilled providers. Increasing federal support of the HIV/AIDS pandemic has enabled MAO to continue receiving funds under Ryan White through the present day. What began with only five clients at the end of 1987 now stands at more than 1,800 annually spanning 28 Alabama counties. Thanks in part to a longstanding partnership with the University of Alabama, Birmingham, the diverse list of patients now also includes expectant mothers living with HIV. 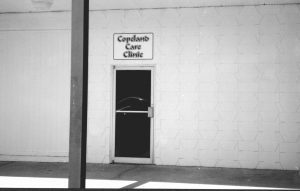 These individuals benefit from specialized medical and behavioral health care administered by way of one of MAO’s Copeland Care Clinics, named in honor of a longtime MAO friend, or one of ten satellite clinics that represent MAO’s Alabama e-Health Initiative. Thanks, in part, to a matching grant from AIDS United, MAO launched the Alabama e-Health Telemedicine Initiative and its first telemedicine clinic in Selma, Alabama in 2011. Over a few short years, MAO’s Initiative grew from one patient clinic and one provider location into a network that now canvases 12 Alabama counties. Through Alabama e-Health, MAO delivers not only HIV-specific specialized and primary care, but pharmacy consultations, mental health counseling, and social services pairing patients and providers through state-of-the-art telemedicine technology. Looking beyond HIV, the Alabama e-Health Initiative is proving the potential of telemedicine to address widespread health barriers and reduce disparities in rural Alabama. MAO actively consults with organizations nationally on the successful integration of telemedicine in a variety of settings. Even with the exponential growth of its clinical services, MAO remains committed to its roots in prevention education. Through representation at health fairs, speaking engagements, school and community presentations, MAO expands awareness of health-related topics, including HIV/AIDS, Hepatitis C, and other life-threatening illnesses. These efforts reach more than 4,500 from all ages and walks of life. Expanding on the capabilities of the telemedicine technology and the potential of the region’s providers, MAO unveiled the MAO Learning Center in 2014. The Center, the first of its kind in a medical facility in Alabama, provides professional development for the medical community, local nonprofits and other community service organizations. To fully realize the Center’s potential, MAO partnered with the Southeast AIDS Education & Training Center (SE AETC) to launch Alabama AETC. Alabama AETC is a joint initiative of Medical Advocacy and Outreach and the Southeast AETC at Vanderbilt University’s Comprehensive Care Clinic, funded by HRSA. Since 2015, the MAO Distance Learning Center has engaged more than 750 professional learners. The Center moved into its new home on Fisk Road in June of 2017. 2017 marked 30 years of compassion and care for MAO. In recognition of the evolving nature of the MAO model, the organization rebranded itself as Medical Advocacy & Outreach (MAO) in January of 2017. The organization born out of the hearts of those Montgomery residents, now serves all of South Alabama. In fact, today, MAO is the largest organization of its kind in South Alabama. MAO’s evolution has mirrored the changes in the HIV/AIDS landscape. In June of 2017, MAO opened the doors on two new service divisions, the Copeland Care Pharmacy and the MAO Dental Clinic. A new MAO Wellness Center is in its infancy. In the Fall of 2018, PrEP treatment services were relocated to the new Center site adjacent to the MAO Dental Clinic. Ultimately, the MAO Wellness Center will expand services to the public at large including: PrEP, possible Hepatitis C treatments, non-HIV-related STDs/STIs, specialized care for women, and the LGBTQ+ community. Also, before the end of 2018, residents in extreme South Western Alabama communities gained access to greater convenience when MAO opened the doors on its third hub site location in Atmore, Alabama. Routine clinical exams, community education, and HIV testing are already accessible at the new location. Since MAO’s founding, thousands have gained access to confidential testing. People living with HIV and related illnesses in South Alabama are now living healthy, productive lives while managing their HIV.